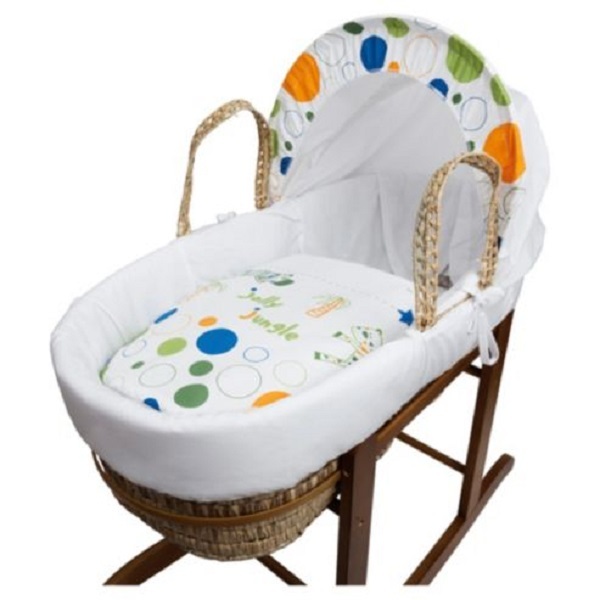 Suitable from newborn to 6 months, this Moses Basket uses Easy-care Polycotton with a soft padding surround. Also included is a comfortable mattress and an adjustable hood perfect to create a cosy sleeping space for your precious little one. The hood/canopy can be adjusted to the desired position by tightening plastic screws on the basket handles. The mattress is water resistant and breathable allowing easy air movement and heat dissipation around your baby's body keeping them cosy all night long. The mattress is also washable, just incase of any spillages! 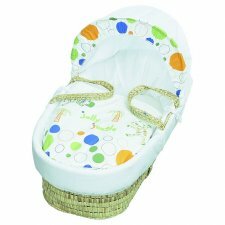 A good balance between comfort and style, this Moses Basket will ensure safe and sound sleeping for you and your baby. Please note - Stand not included.